The last few years have seen a string of smaller titles that drastically raised the bar for writing in games. Titles like Undertale and Night in the Woods craft worlds for their characters to inhabit and explore emotions not generally seen in an interactive story. Many have tried to latch onto this wave of success, but few can reach the level of experience these games provide. 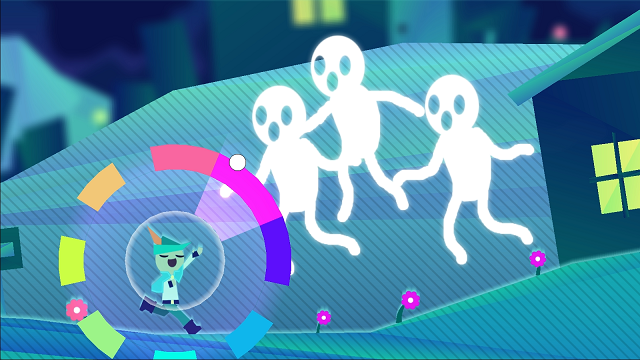 Musical platformer Wandersong gets pretty damn close, offering a joyous adventure that appeals to players young and old. A few notes sound offkey here and there, but this Wandersong still gets a spot on the Greatest Hits album. You start Wandersong in a dream. Your little adventurer finds a sword, but it’s far too large to wield efficiently. What you lack in raw power, you make up for in singing ability. Awakening with a sense of purpose, you still remember the warning of a rainbow-haired spirit. The world will soon end, and you feel determined to stop it using only your vocal cords. What follows is a 10-hour trek around a fantastical world. You’ll meet pirates, bandleaders, and bean merchants, each one with a distinct and charming personality. There are over 100 characters in total, and each one has a wealth of things to say if you want to listen. The developers have done an excellent job of fleshing out this world and hiding little touches for anyone paying attention. The character work cements how real the world of spirits and witches feels and is as real as almost of its peers. Despite those who continually condemn your quest as folly, you just keep on smiling and moving forward. Every interaction comes off as genuine and heartfelt, even when things get tough. There are laugh out loud moments in Wandersong, and there are just as many introspective interludes. There’s a sense early on of a madcap fun time more akin to Looney Tunes, but that eventually settles into something with an epic scope and real stakes. 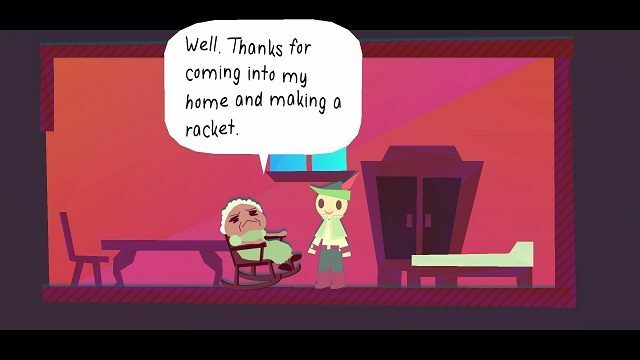 And that’s where some issues pop up in Wandersong‘s tale. The bard character at the center of everything is a delight, and they have amazing moments when the tone is more lighthearted. Even the moments where they lose their smile are affecting. You see this bard putting on a face for the rest of the world while they’re dealing with pressure-filled situations. It’s great stuff, but those character moments seemingly halt halfway through. The narrative shifts more towards traditional fantasy fare, with warring kingdoms and the end of the world. It all lacks that creative spark that made the early game so interesting. Perhaps it’s because the nonviolence gimmick isn’t enough to hold up an entire experience anymore. The most powerful moments of Undertale hang on making you feel for characters rather than attack them, but there were layers of other things going on. Wandersong hangs almost everything on “violence is not the answer.” The Bard is a distinct character, so you don’t get a say in whether they’re violent or not. The story plays out as it’s going to play out, so these aspects feel one-note. Wandersong does a lot to make the Bard’s singing a fun mechanic. There are rhythm sections, objects that react to your voice, and other surprises. Even when you’re doing standard adventure game fetch quests, there’s always some spin on it that requires singing a few bars. Every act comes with new towns, new challenges, and a welcome variety that lasted throughout the adventure. Outside of towns, you’ll find a set of dungeons set in the spirit world from your dreams. 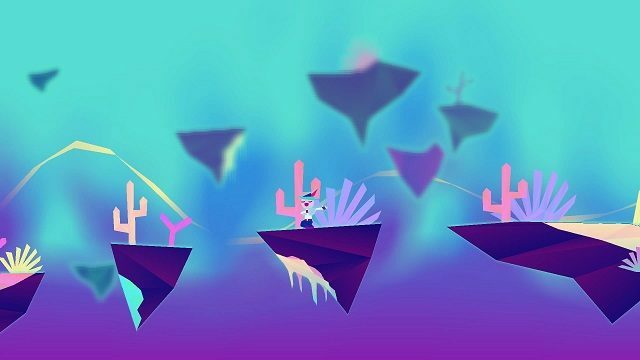 These sections focus more on platforming and provide Wandersong‘s only frustrations. Made by a three-man team using GameMaker, you can sense the limitations of that setup as you play it. Running and jumping never feel great, and it’s easy to find the Bard clipping through objects or landing awkwardly. So, when Wandersong asks you for precise movement using a mechanic you’ve only just learned, you’re more than likely going to run into a brick wall. Thankfully, there’s no penalty for death when you have to overcome one of these obstacles. However, that underlines a larger problem. 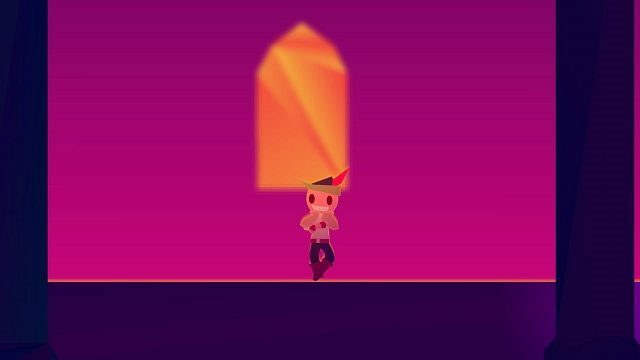 Wandersong already has a great variety in its cast and its gameplay. Talking to the townsfolk and solving puzzles works great, so why do we need such regular showcases for the game’s biggest weakness? It’s baffling, especially since the campaign easily has around 10 hours of content aside from these bits. In a game where the writing is so on point, I’d have much rather seen extended scenes of dialogue or more inventive ways to sing than this pointless filler. Some may think that games focused on narrative aren’t challenging enough. They come to games to be tested, which is a perfectly legitimate pursuit. What’s presented in Wandersong probably isn’t going to please those people. The people it certainly will please are those who are new to gaming, whether because of age or inexperience. This should be a perfect introduction to interactivity with charm to spare. Unfortunately, because of those wild stabs towards traditional gameplay, it’s hard to uniformly recommend Wandersong as a “first game” to anyone. Just as I could never beat Bowser while playing Super Mario Bros as an infant, there are several points that will stop kids dead in their tracks. However, anyone who can handle some clunky platforming will find nothing but joy when playing this gem. 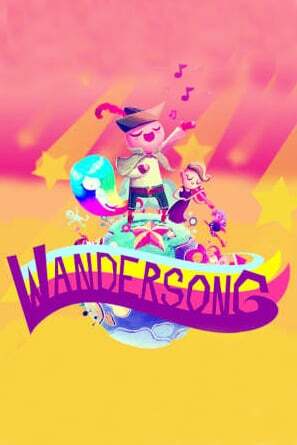 Much like your little Bard, I’ve accepted Wandersong for what it is. It tries too hard to reach the standards of the industry and falls short. That’s just fine because Wandersong brings something to the table that’s just as valuable. It has heart and soul, telling an emotional tale that’s full of wonder. Wandersong isn’t perfect, but I wouldn’t have it any other way. GameRevolution reviewed Wandersong on PS4 with a copy provided by the publisher. Memorable characters throughout the adventure. Numerous inventive ways to incorporate singing into gameplay. A constant barrage of pointlessly complex platforming. Overall tale contains some occasional clichés.